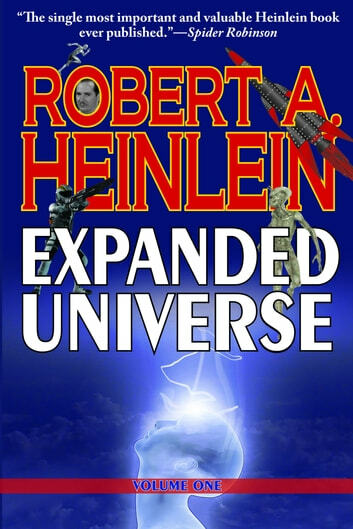 Robert A. Heinlein has been hailed as one of the most forward-thinking science fiction writers of all time, and Expanded Universe (presented in two volumes) offers the perfect collection of his works to provide readers with true insights into his uniquely creative mind. Heinlein personally selected each story or essay for inclusion in this collection, which is ordered chronologically, starting with his first sale in 1939 of “Life-Line” to Astounding (for seventy dollars).This remarkable collection highlights the development of Heinlein’s writing style and his philosophy on life throughout his career. More importantly, this collection is as close to an autobiography as anything Heinlein wrote during his life. Heinlein was an extremely private person who never wrote much about himself. In this exclusive collection, he offers forewords to most of his stories and essays (and an occasional afterword), giving readers a rare glimpse into the inner mind of the master. Expanded Universe is a must-have for any Heinlein enthusiast and any fan of science fiction.